Gold jewelry is very expensive this is a more affordable alternative with out sacrificing quality or charm. Perfect for every occasion! 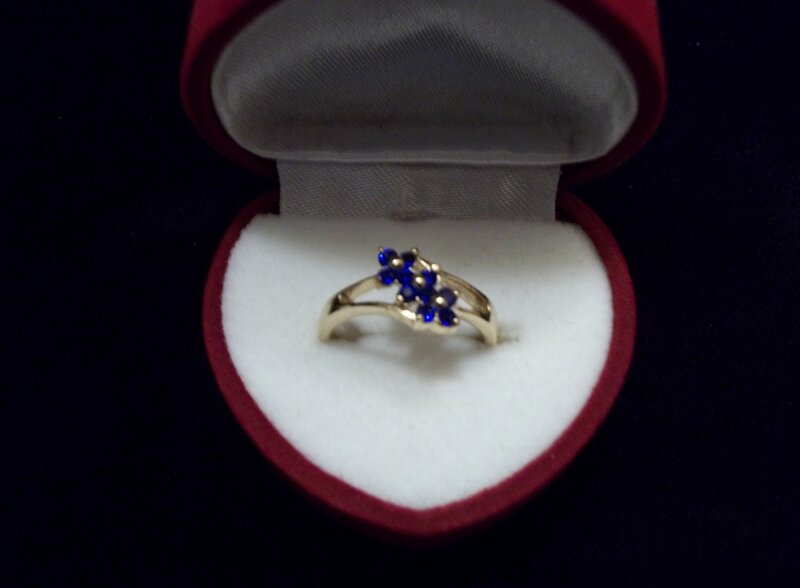 **This ring is tarnish resistant. Would be perfect to give to someone you love as it comes with the beautiful heart shaped ring box. Gold Layered is an actual layer of gold-pressure bonded to another metal. Gold layered is not to be confused with gold plating as layered literally has 100% more gold than gold plating. Gold layered is much more valuable and tarnish resistant. It does not flake off, rub off or turn colors. As a matter of fact, anyone who can wear gold can wear gold layered without worries of any allergic reaction to the jewelry. Gold layered jewelry is an economical alternative to solid gold! As it is just one step below real solid gold. With Gold layered jewelry everything you see and touch is pure gold! Gold-Layered items are generally considered lifetime products, and the gold layer will not wear off, as it will in electroplated products. Gold filled jewelry is often called the wave of the future because it offers all the same characteristics as solid gold such as strength, durability and beauty but at a fraction of the cost! Beautiful FREE Flocked heart Shaped ring Box Ready for Gift Giving!